Do you want to hear the simplest and easiest way to boost your employees’ productivity? A surefire way to nurture and preserve talent and ambition? Well, all you have to do is make your employees happy. This may not sound as important to some of you, especially if you prefer an office that is all about discipline and a hard work ethic. But here’s the thing- a happy employee is a productive employee. When people are happy, they have more energy. They work harder, they are invested much more deeply into the task at hand. Happy employees will work faster, make fewer mistakes and will be much more creative. The biggest companies in the world take their employees happiness very seriously. They understand that the happiness of their employees is connected to the success of the company itself. If you want to find out how to have happy employees, just read the following seven tips that are vital to a happy and productive work environment. When we review our employees, it tends to involve some serious metrics like their performance, output quality, productivity, and the like. Why don’t we throw in a metric for happiness and job satisfaction? Ask them what they love about their job and what they don’t. Be attentive and help provide solutions if necessary. Make sure you also emphasise a truly open-door policy so they can vent and be honest. You know what kills happiness in the workplace? Gossip, politics, and jealousy. These are things that people tend to gravitate towards naturally, yes. But a smart employer knows how to identify and deal with these things. Opening dialogues is a good way to go. 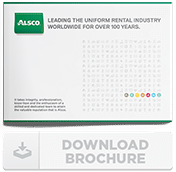 Another way is to promote team pride with Alsco uniform rentals. We can provide a beautiful, personalised look for your teams to keep them united. No one likes bad news. No one. But sometimes, things don’t always go according to plan. While our knee-jerk reaction might be to scold and berate, that doesn’t help the situation. A great way to go is to engage your employees. Get their opinions on what can and should be done to make things better. Encourage them to learn and apply those lessons for future success. Many people think that being totally serious means everyone is working to be productive. Many times, an overly formal atmosphere can be very oppressive and highly stressful. It often helps to inject a bit of a break from the stressors to get people to unwind. Lighten up! Do something different out of the blue just to break the ice, have a fun and engaging team building activity and get everyone involved. Organising a group first aid training course for employees is one cool way to do it. It stands out, will most likely be unexpected, and even teaches important life skills. Employees need to feel appreciated. And one of the best ways you can help them feel that way is to organise a party or two from time to time. Now, this doesn’t mean you start popping champagne and preparing caviar whenever you make a small profit. What it does mean, though, is that you should prepare some snacks when somebody has a birthday. Or, perhaps, celebrate when your team completes a difficult project, or when somebody becomes a parent. Things like this will make everyone much happier, and will certainly help create a positive work environment. You are a leader, and you should act like one. The people that work for you follow your example. If you come to work every day with a smile on your face, you will add some positivity to your office environment. Positivity is infectious, and you will without a doubt see it carried over to your employees. Now, of course, you are still at work, and there is a level of professionalism that should always be maintained. Still, try to understand and to learn that having a sense of humour and knowing how to take a joke will make everyone at work more relaxed. Less stress in the office means happier workers, and, in turn, greater productivity. Proper hygiene and cleanliness also go a long way towards employee happiness. No employee would enjoy coming into an office that isn’t properly cleaned and reeks of dust and dirt. Bacteria in the workplace can make employees sick and this definitely affects their mood. That is why cleanliness in the office should never be taken for granted. With Alsco cleanliness services, you have many sanitation options that make sure your office is fresh and conducive to happy employees. Alsco has been one of the most reliable names when it comes to quality cost-effective commercial services. We provide customised services for businesses. If you’re looking for ways to do things better, call us today. 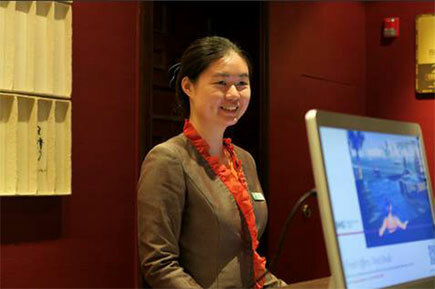 Our friendly customer service representatives are more than happy to help you out!